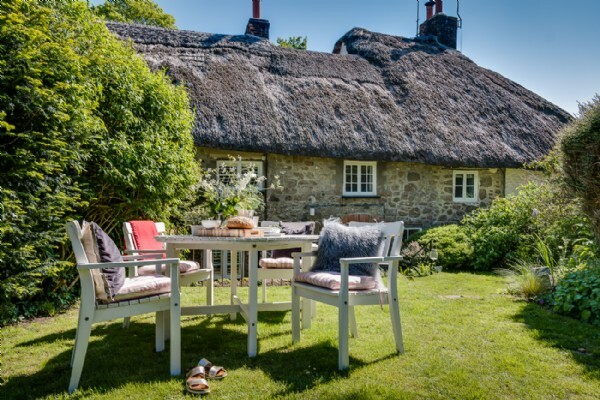 Plot your country escape to this luxury holiday cottage in North Bovey; one of Devon's most idyllic villages set within the rugged beauty of Dartmoor National Park. 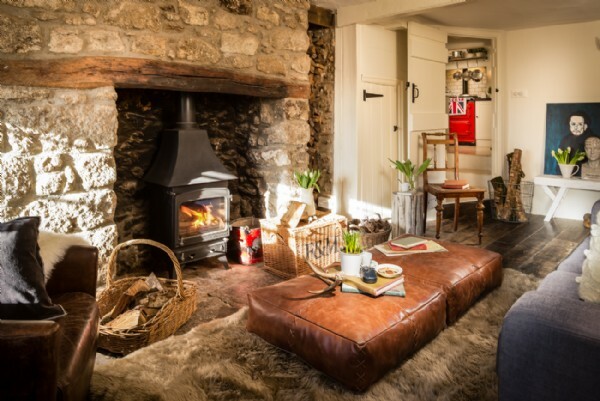 A roll top bathtub, log fire and pillar box red Aga, all wrapped up beneath a treacle-tinted thatched roof, make The Riddle the type of cottage you might only expect to find illustrated on the pages of a storybook. 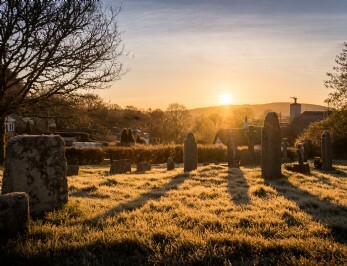 The Riddle sits just off the village green in Dartmoor's beautiful North Bovey amongst an assembly of immaculate thatched cottages and a sweet 14th century church. 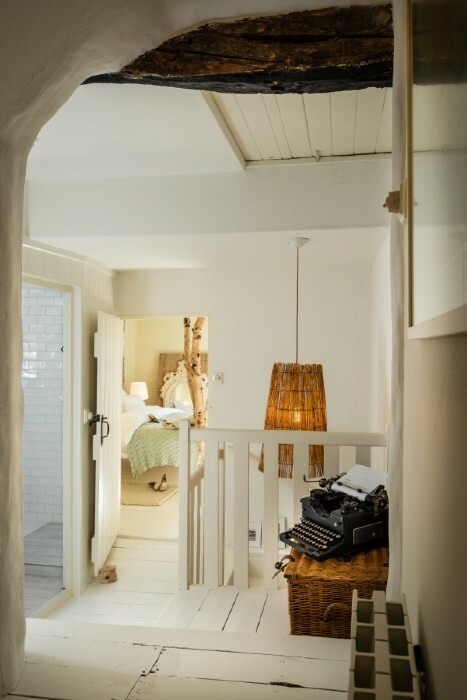 Once home to wool farmers and later a post office as part of W.H Smith’s family estate, you cannot help but fall in love with the owners' quirky touches in their stylish yet sympathetic renovation. 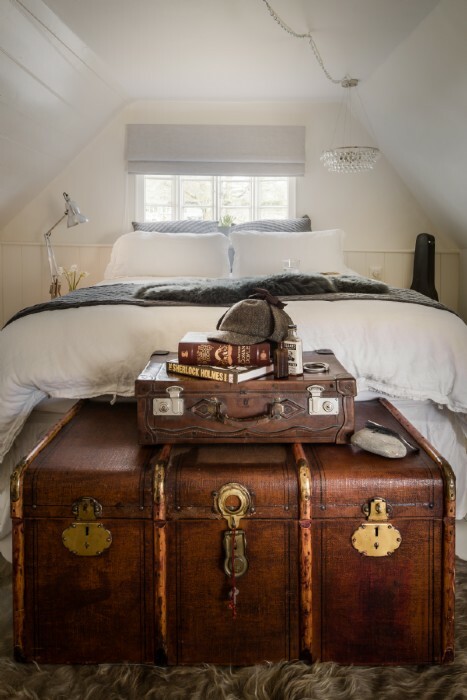 Local antiques, vintage trunks and even a secret floorboard compartment (accessed only by those clever enough to solve the riddle on the original Dartmoor prison lock) make this luxury holiday cottage all very Sherlock! 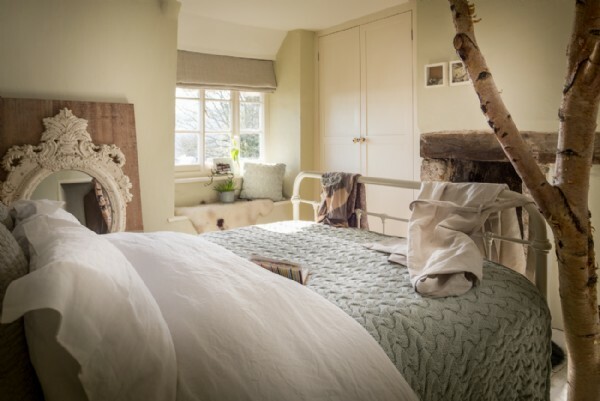 With three divinely designed bedrooms boasting king-size beds and pure French linen, the Goldilocks within you might struggle deciding which to pick. 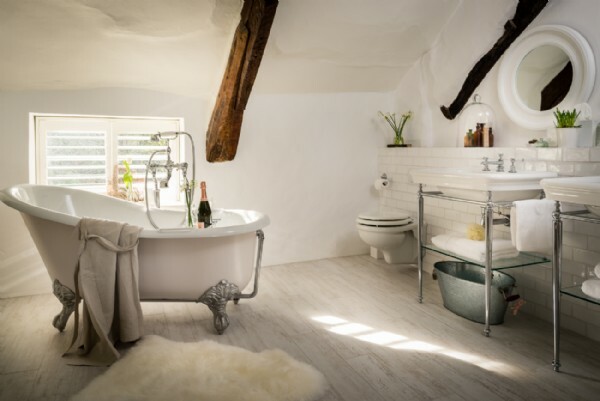 Together with the Sherlock suite, the cosy birdie room with olive green headboard enjoys Jack-and-Jill access to a bathroom with roll top bathtub, his’n’hers sinks and crystal chandelier. 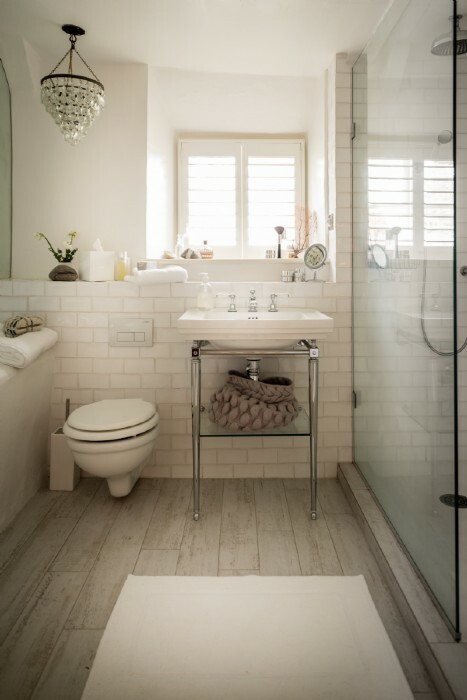 There is also a family shower room with WC. 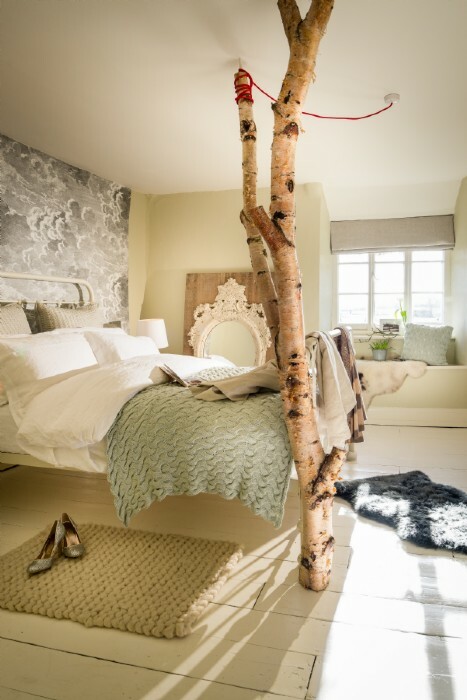 The fanciful bedroom across the landing quite literally brings the outside in with embossed cloud-print wallpaper and a tree trunk at the foot of the bed - as if it couldn't get more fairytale-like. 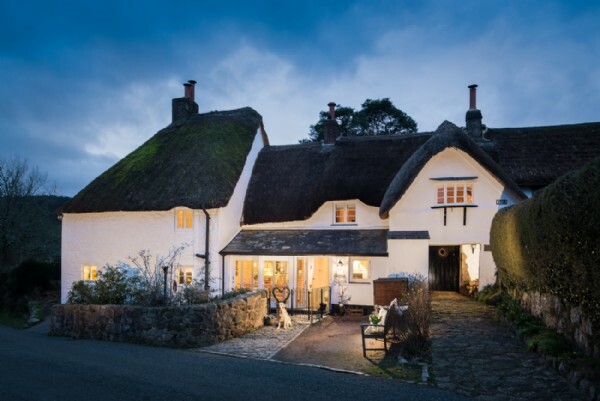 North Bovey cradles the south-east side of Dartmoor within a compelling landscape of wooded glades, butterscotch-coloured moorland and rolling green pastures peppered with fluffy white sheep. 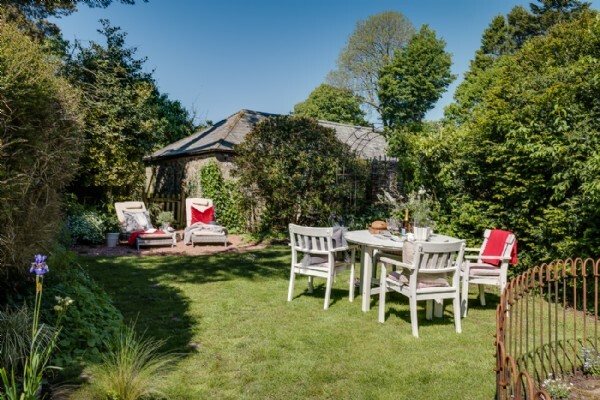 Look forward to moorland horse riding, rustic pub lunches and afternoons spent lazing in the glorious English country garden to the back of the cottage, where there is a patio area and enclosed lawn backing onto the pretty village allotments. 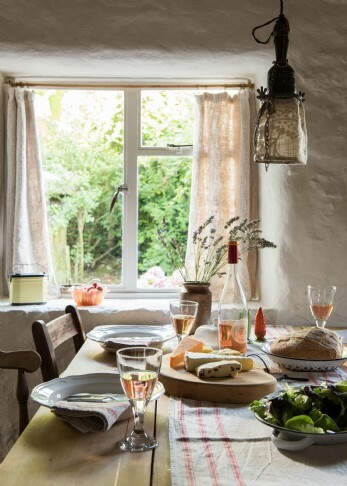 With herbs in the garden and local produce such as honey, eggs and lamb available in the village, country living never came so easy. 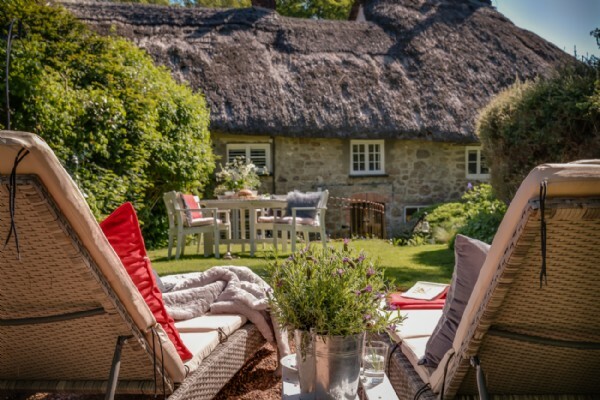 Spend your holidays putting golf balls and being pampered in the spa at nearby Bovey Castle, or watching ponies pootling up and down the lanes from the comfort of the cottage before knocking back an ice cold G&T in the roll top. 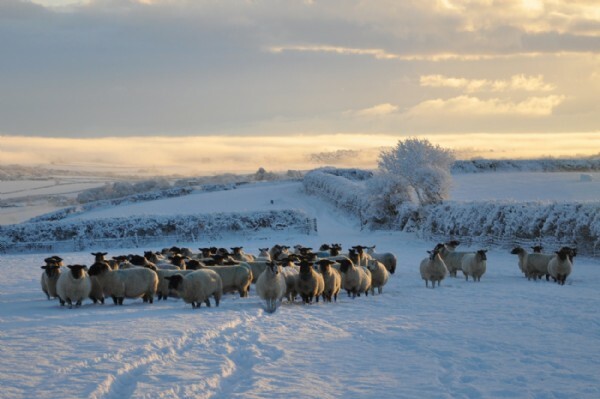 Devon life really is rather wonderful. 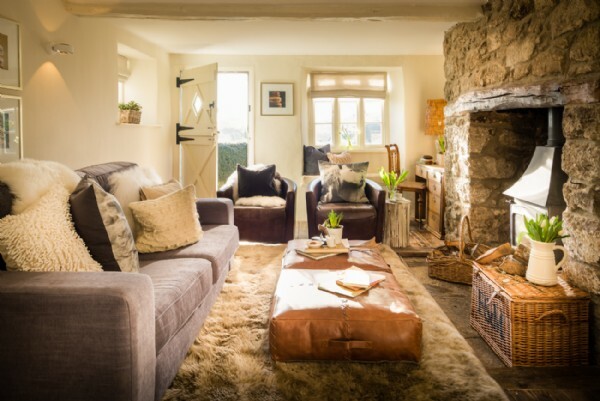 After your Aga supper, those who want to watch a film will have retreat to the snug as the main sitting room is a blissful no-television zone, instead featuring a deep fur rug and squishy sofas arranged around a roaring log fire - perfect for evening reading. There is driveway parking for one car with overspill for additional cars around the green. 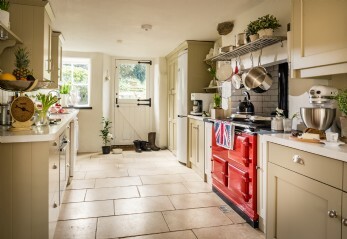 The country kitchen boasts an Aga, fridge freezer, dishwasher and washing machine. 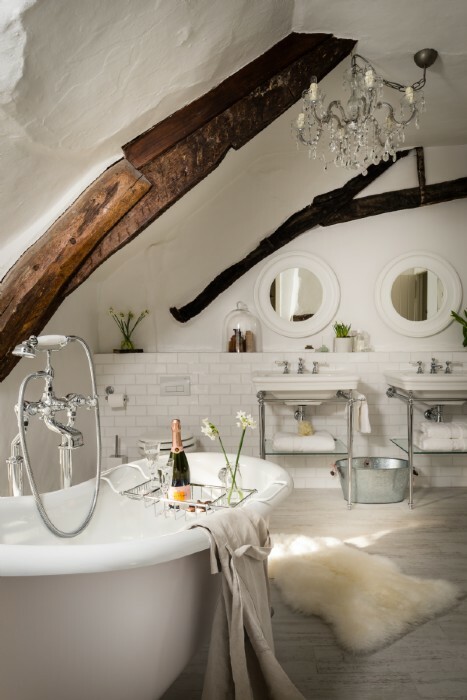 The dryer is in the outbuilding and there is an outside tap for muddy dogs. Please note that families with children should take care around the steep drop in the garden. 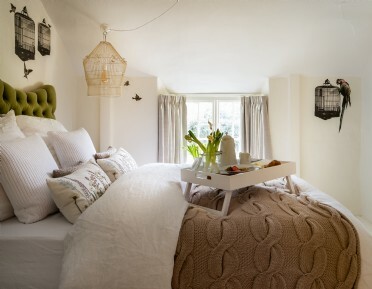 The cottage accommodates a maximum of four guests, but these guests can use the third bedroom for an additional £150. 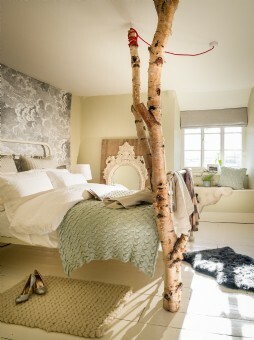 Style: Rough meets luxe and vintage meets novel at The Riddle. 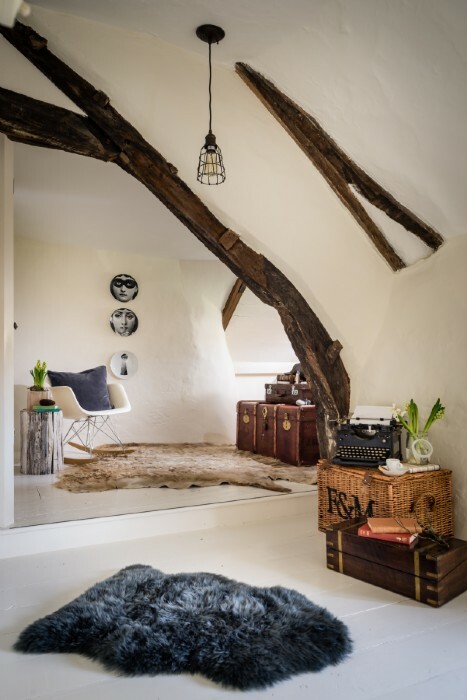 You cannot help but fall in love with the owners´ boldness in their ingenuous renovation of this ancient and iconic Devon cottage. 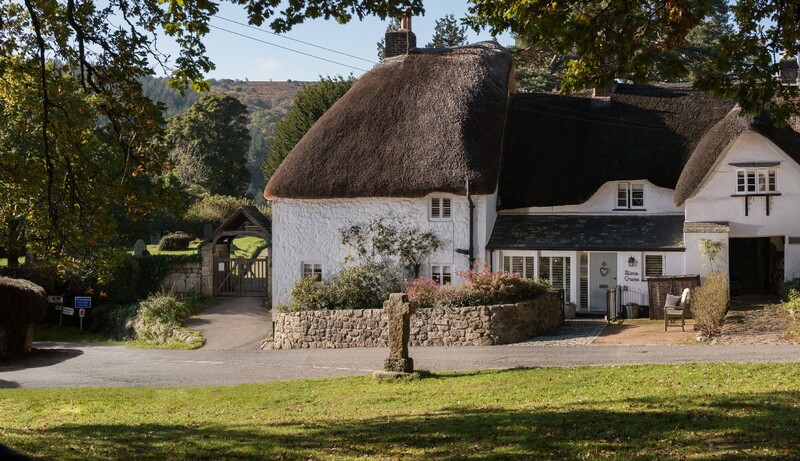 We are delighted to introduce you to our lovely and legendary Dartmoor home. 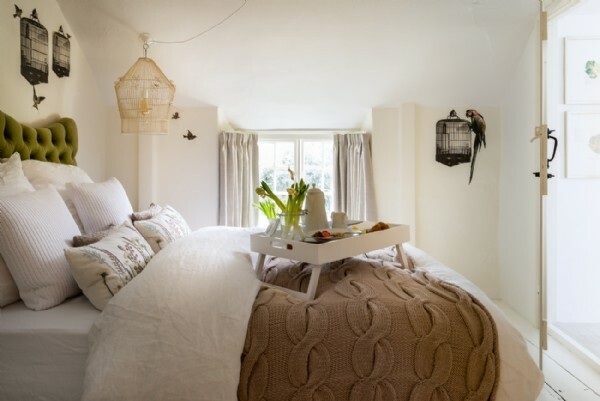 We will never forget the first time we arrived in North Bovey, walking up from the banks of the River Bovey to find the picturesque village and what became our cottage… it was love at first sight! 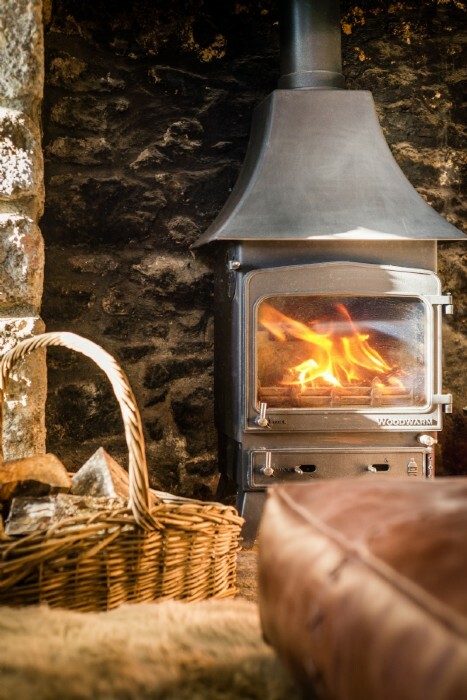 Discover places to see and things to do whilst in and around North Bovey, Devon to truly enhance your stay come rain or shine! 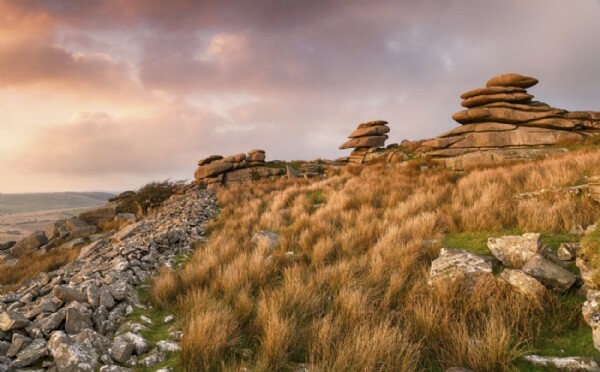 Dartmoor This stunning National Park has towns and villages a-plenty to explore; from brooding Princetown and picturesque Widecombe-in-the-Moor to tiny Postbridge and genteel Chagford. 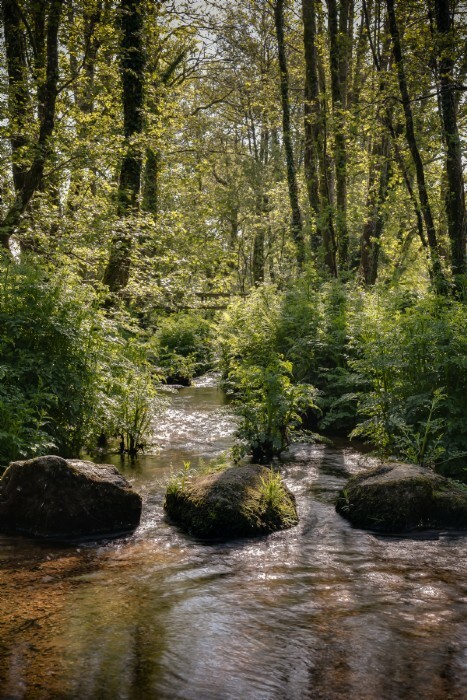 In between, lies a natural playground for hiking, cycling, riding, climbing and white-water kayaking. Local Tipples When your cockles need warming after a day's adventures, walk into one of the local pubs with their friendly characters and landlords- there's nothing more authentic. 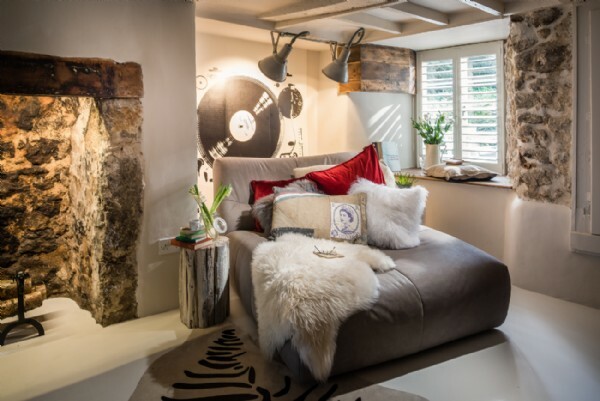 With The Ring of Bells in the village, you can indulge in good food and wine with the bonus of little fresh air on your walk home. Fore! 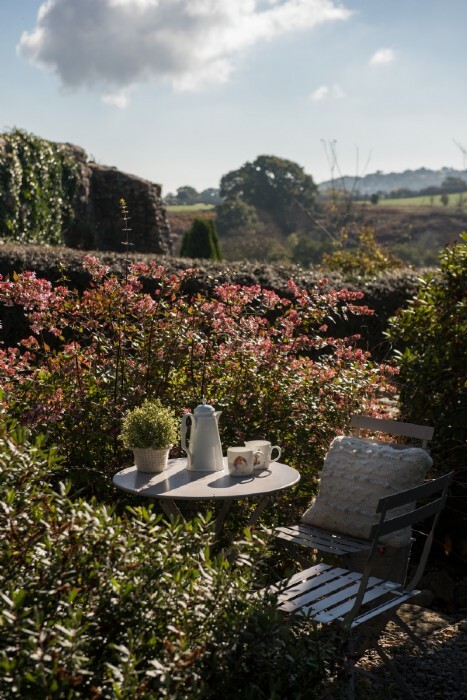 The golf course at Bovey Castle is a challenging and beautiful 18-hole championship course, designed in 1926 by J F Abercromby, one of the finest British golf course designers of the last century. 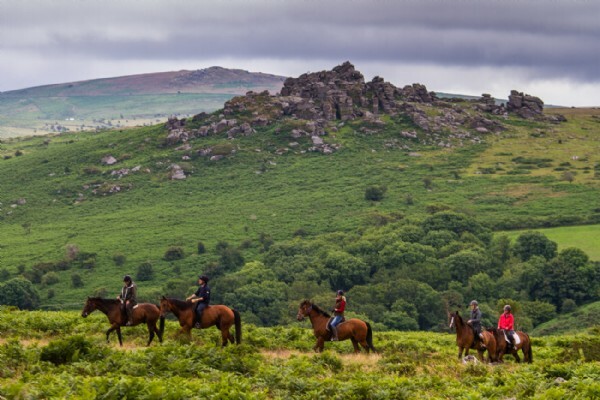 Liberty Trails One of the best ways to discover Dartmoor is on horseback. 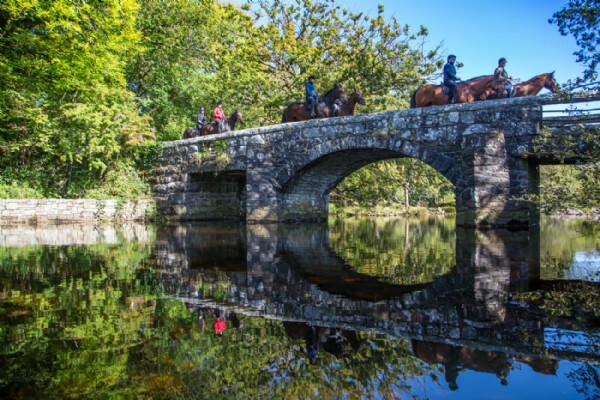 With magnificent sweeping views, huge skies and wide open spaces, Liberty Trails is perfect for seasoned riders seeking an opportunity for adventure. 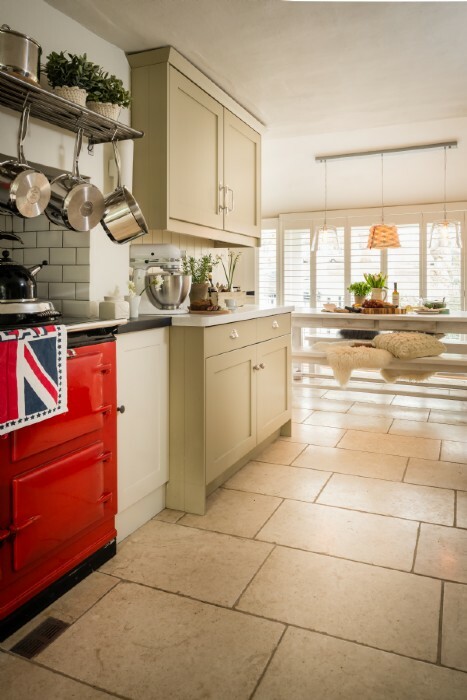 Bake Off If all that Aga cooking gets your creative juices flowing, why not expand your culinary skills at Ashburton Cookery School? 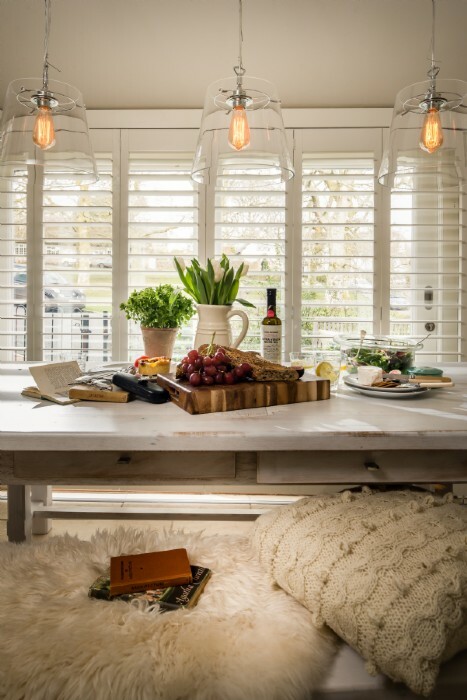 With over 40 courses lead by professional chefs to choose from, they have been voted amongst the UK's top cookery schools. 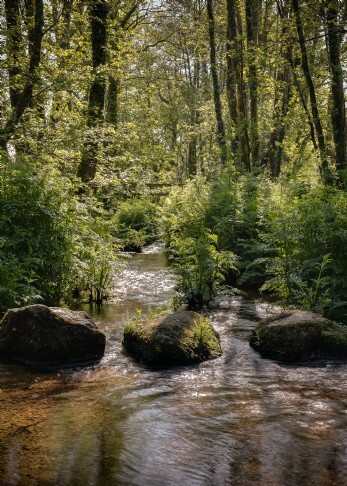 Wild Swimming Peaty waters clean from the mountain make Spitchwick Common the most popular and accessible Darts swimming location. 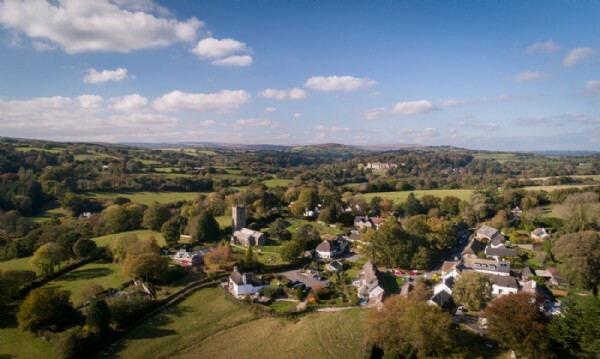 Ancient Towns and Villages Nearby Moretonhampstead's fascinating history goes right back to Saxon times and although tin mining has now ceased in the ancient stannary town of Chagford, there is still a thriving community and olde worlde charm here too. 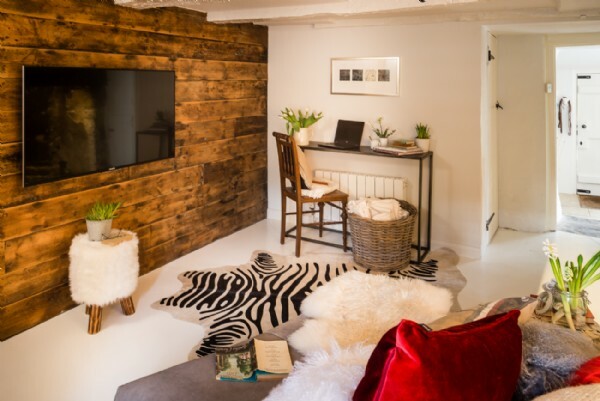 The cathedral city of Exeter is the place for shopaholics, with all the high street names as well as lots of independent retailers. 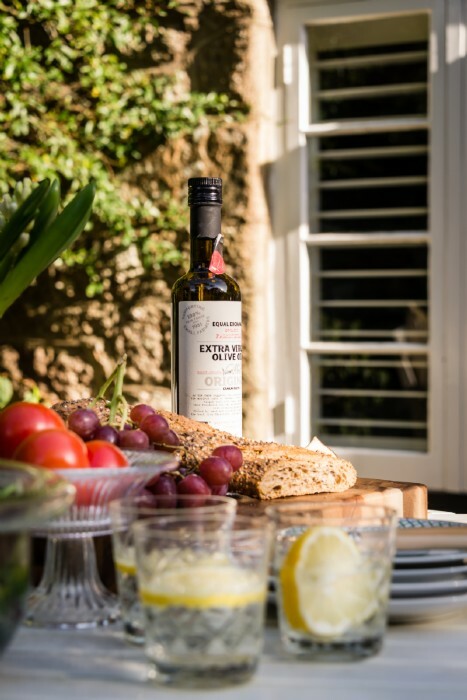 Embrace the pastoral lifestyle with a gourmet self-catering escape based around farm produce and locally-grown delicacies. 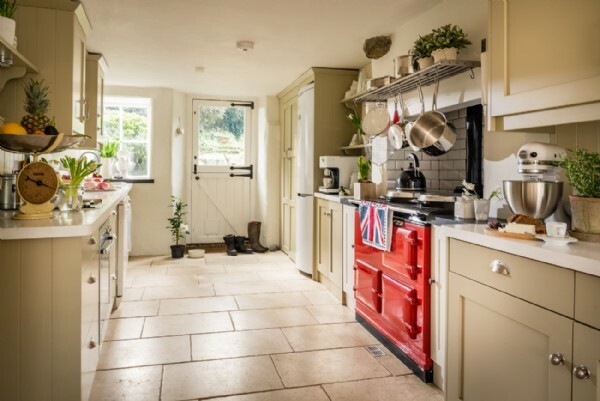 There is nothing more satisfying or authentic than cooking up a storm in an Aga and the cottage garden provides gorgeously fresh rosemary, oregano, thyme and lavender to help you on your way. 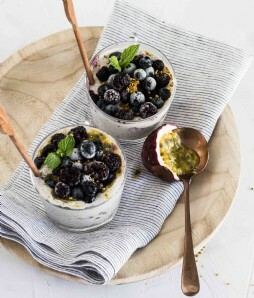 If you'd rather spend your luxury self-catering break indulging in the little luxuries, let an in-house chef prepare a mouth-watering meal for you (on prior request and subject to an additional cost). 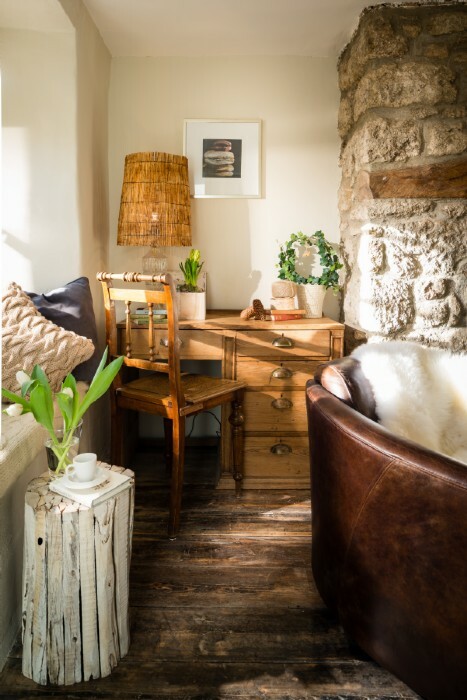 The characterful, friendly pubs dotted in the local villages serve hearty home-cooked food and a good selection of local ales. 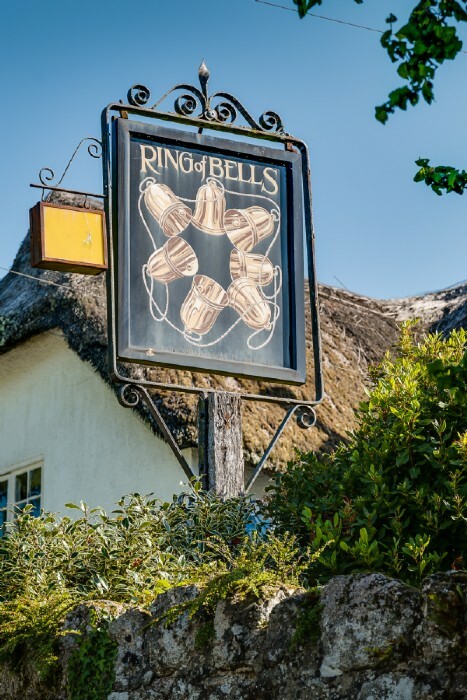 Right in the village is the iconic Ring of Bells Inn. 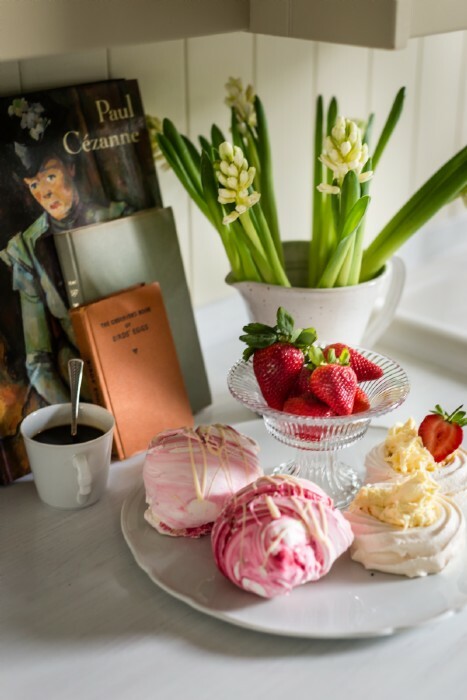 For a supper to write home about, try two Michelin-starred Gidleigh Park. 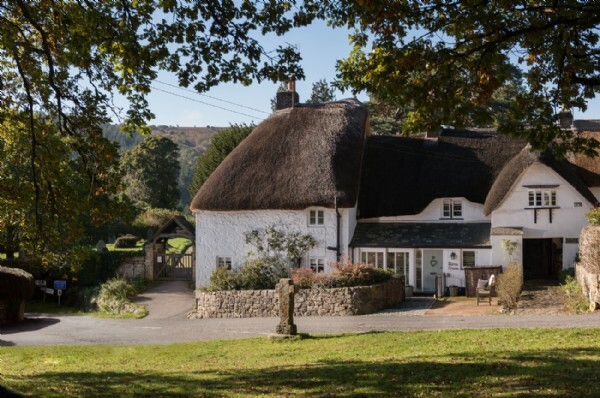 Likewise, the Smith Brasserie at nearby Bovey Castle is well worth a visit as well as their Great Western restaurant, superb for afternoon tea on the terrace and only up the road.